Increasing workloads and wage theft is rampant, work is less secure than ever and they’re making it harder for us to keep each other safe at work. The rules are broken. So let’s change the rules! We need all MSAV; VPA Inc and AHP job representatives to join us and job representatives from other unions in mapping a plan for action – united we stand. 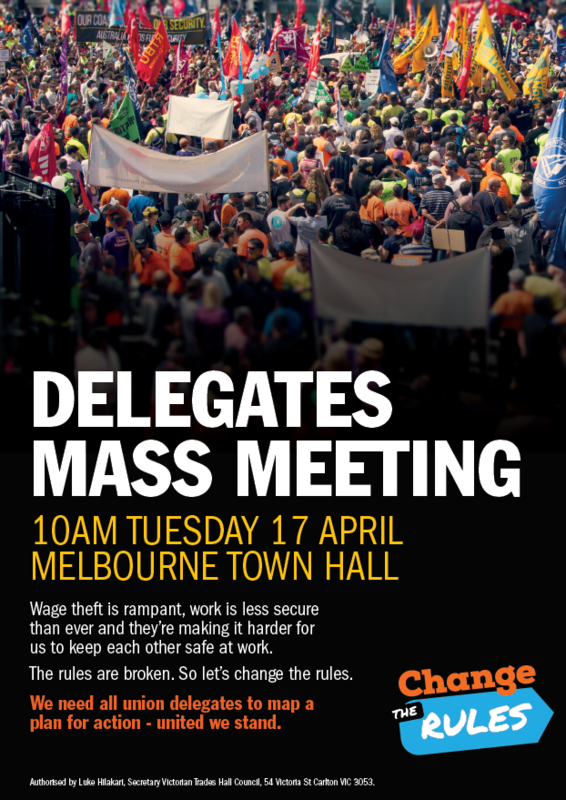 And if you’re a public sector member you can take the day off to attend but you’ll have to make sure you let your boss know you’re attending the mass meeting.